Evette started making Wendy in a workshop. Here Wendy (red dress) sits with her cousins made from the same pattern. Well done, Evette! 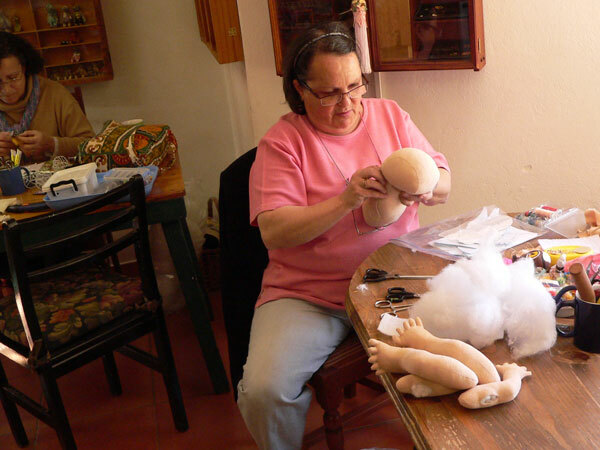 This is Isabel, made by Mrs Pekelharing, who ordered the pattern by mail, found all the supplies to make her doll unique, and then completed it all by herself. A very creative effort, and well done too!